Maison Et Objet, the Parisian design show has a certain je ne sais quoi! Drawing inspiration from that certain something ‘Excuse my French’ the theme for this season, curated by trend extraordinaire Vincent Gregoire of Nelly Rodi was edgy and whimsical. Paris has, through the years been one of the trendiest spots – from fashion to interiors, the French have you covered to help stay ahead of the style bend. The design whirlwind for the next few months has been kicked off, with all the creative forces out, challenging the year that was. For us, forecasting wasn’t easy, as each trend was inspiring and game-changing – from the materials used to the depth and philosophy behind each design. We’ve been observing a complete paradigm shift with the surge in the sustainable design movement, together with luxury in design. Each curve, texture or colour represents a notion or thought. 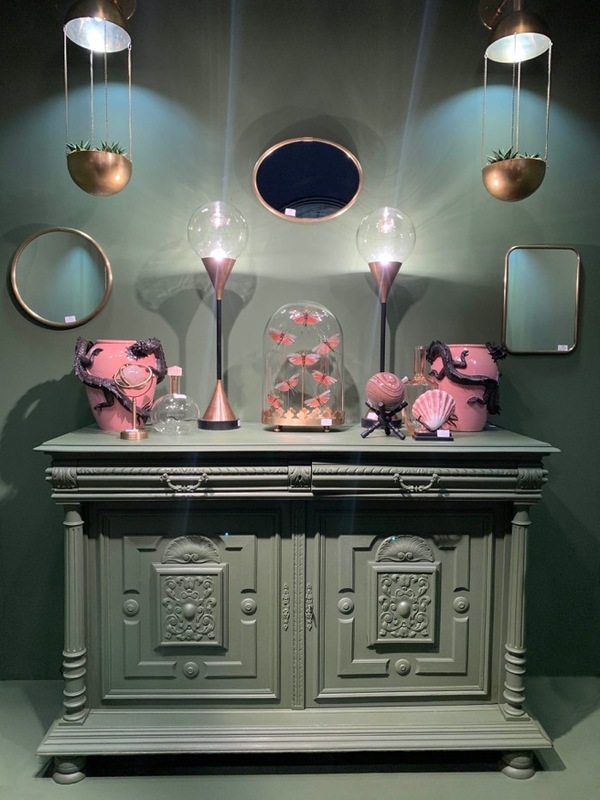 This season of Maison et Objet showcased broad yet curated selections across the spectrum of design – from Art Deco to Baroque, elegant to eccentric – there was creativity to satiate everyone’s appetite for design. 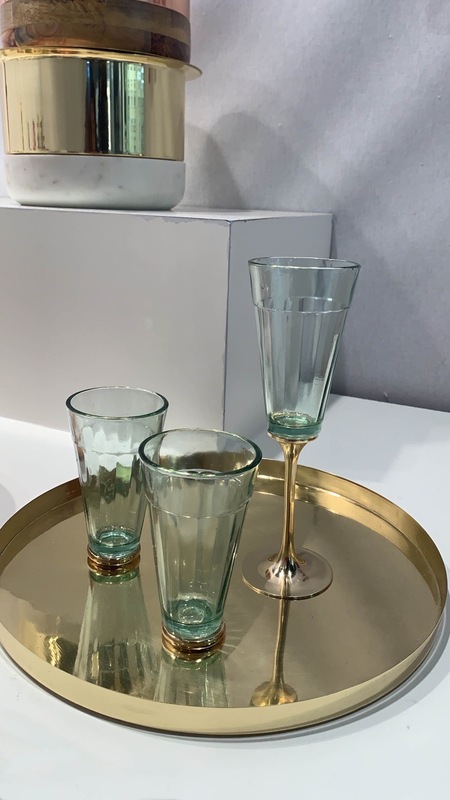 An Indian brand showcasing their newest 21 (Ikkis) pieces for the 21st Century sees a luxe twist on the traditional Indian tableware and decor pieces. The daily objects take inspiration from Indian handicraft roots and are reinvented to suit a global palette. Now, the move away from mass-produced towards handcrafted eclectic pieces is more apparent. The cutting chai repurposed into a chic champagne glass is one of the standout pieces. Disneyland – Bosa & Mickey. When trends between home and fashion overlap, you know the synergies are in full force! 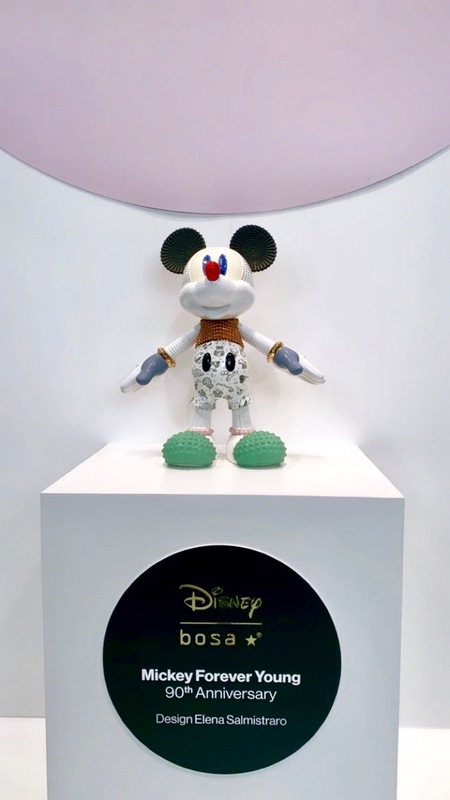 Bosa and Disney celebrate 90 years of the infamous mouse. Designed by Elena Salmistraro, these pieces make perfect statements with the beautiful serendipity of whimsy and luxury. We are going to be seeing more of these nostalgic characters soon. Love Mouse Lamps by Seletti. Maximalism was at its peak with Seletti & Kare. 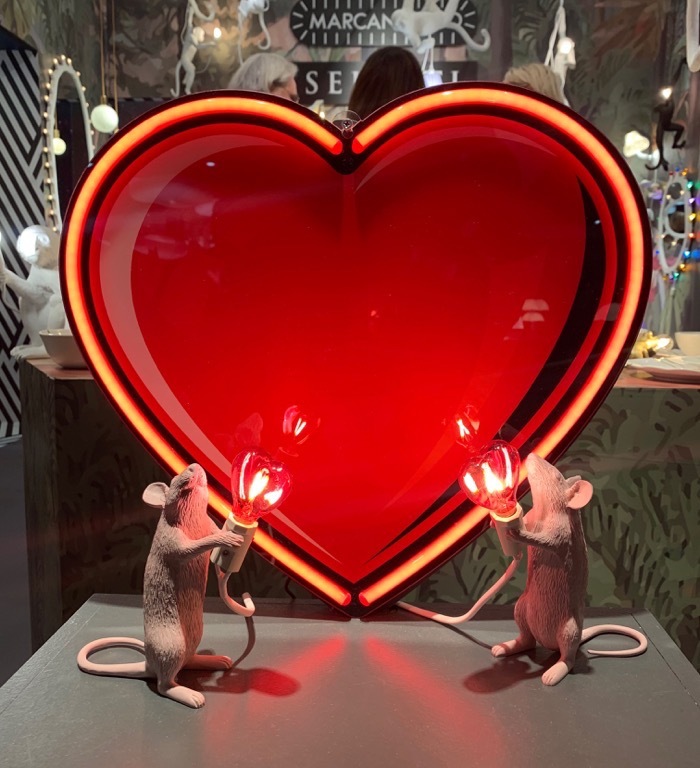 New this season were these adorable Love Mouse Lamps. Let’s just say they had everyone falling in love with these heart holding mice. They aim at a different view on daily life, and the ongoing journey within the idea of beauty. Known for their iconic monkey lamps, art tables, lighting and decor, they have a unique take on each piece. From gorillas and lions, this year the wild side moved over to smaller creatures. Wildlife exults to repair us from the zapping of our lives punctuated by screens. At Objet des Curiosite, the need to find the original nurturing ground and roots come back as a refrain. Bugs and reptiles find their home in everyday objects expressing a more primitive instinct through design. A form to reconnect with nature moving past technology and urban life. Michel Haillard’s furniture composed of lianas, various woods, precious stones and metals, latex, hemp and bark. They had a Baroque aesthetic in which the lianas form voluptuous curves, enhanced by the most refined bronzes. 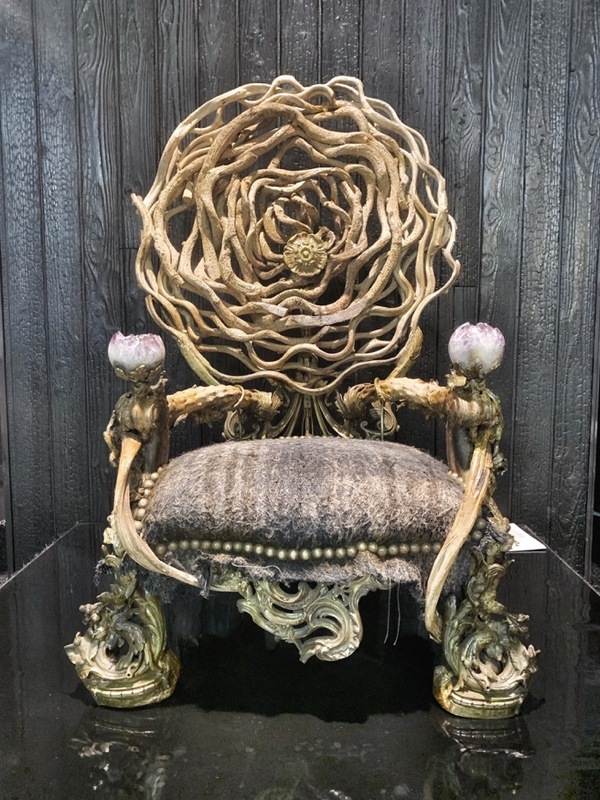 One could say that the furniture pieces of Michel Haillard are creations of an exotic and paradoxical baroque design. In an era of Game of Thrones and Lord of the Rings, fantasy design seems to be becoming a culture.